LIMITED to ONLY 90 in the world! Thom has placed a total of 25 N's in this work as tribute to his wife Nanette, as well as in honor of his 25 years as a published artist. 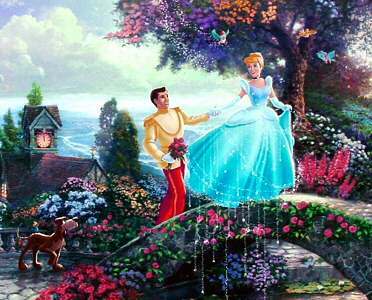 The title, Cinderella Wishes Upon A Dream is based upon the Cinderella movie's central song. The path shown in this image carries us from the stepmother's house down into the village, and finally to the castle. 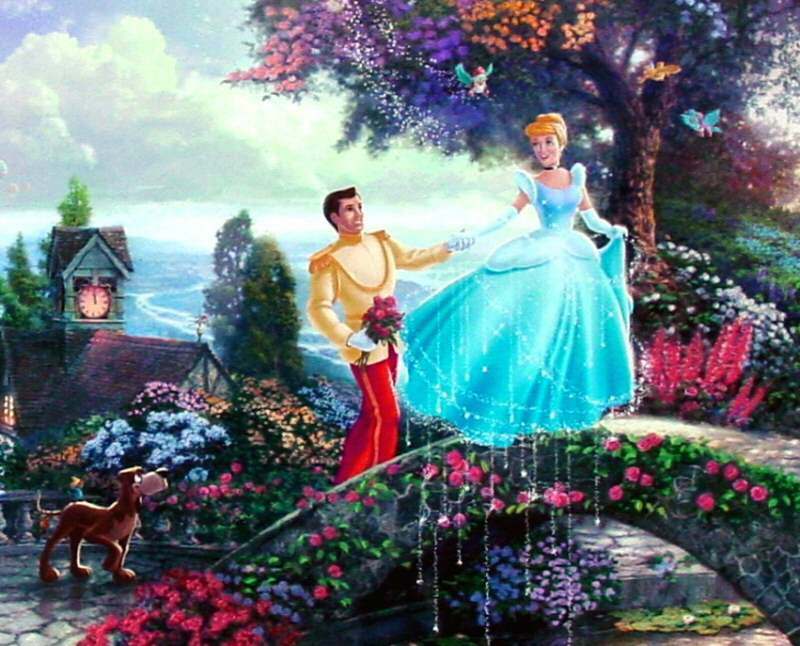 You will find many exciting things in Cinderella Wishes Upon A Dream, such as Cinderella's dog, three antique hot air balloons and dozens of figures - including Snow White, Pinocchio, Peter Pan and Tinker Bell! Can you find them all? 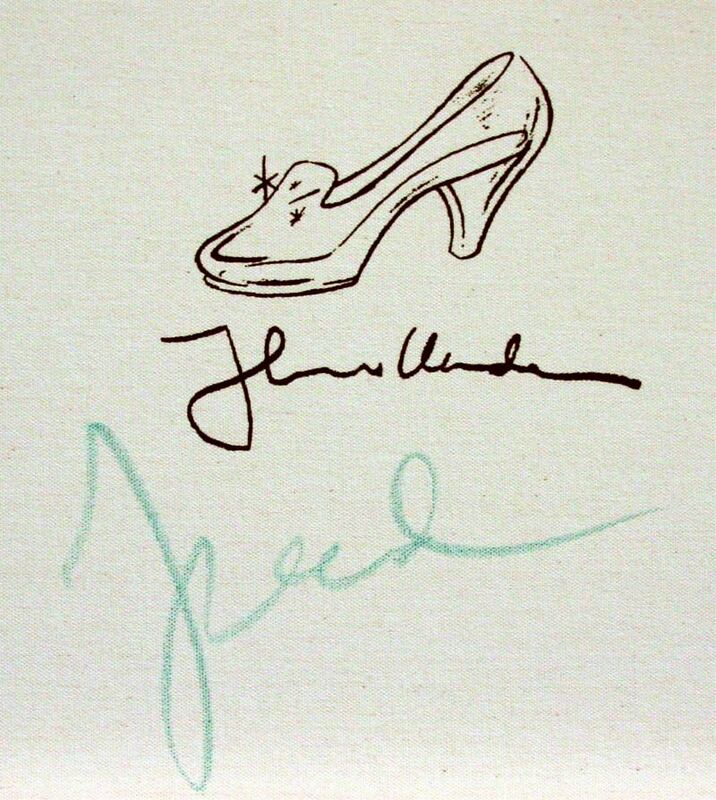 Take note of Cinderella's coach, frozen in time. The clock shows a moment before midnight. Has it stopped? 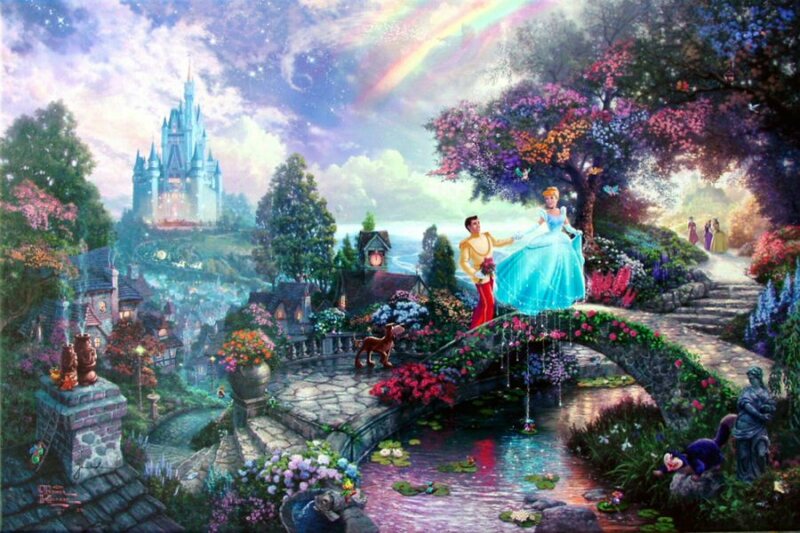 Cinderella's castle can be seen in the distance, and the Fairy Godmother can be seen riding atop the splendid rainbow. 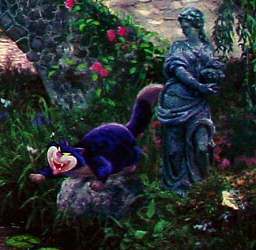 The stone statue featured in the garden area on the lower right of Cinderella Wishes Upon A Dream suggests Cinderella's years of drudgery. The sparkling gown she wears reminds us that dreams really do come true. 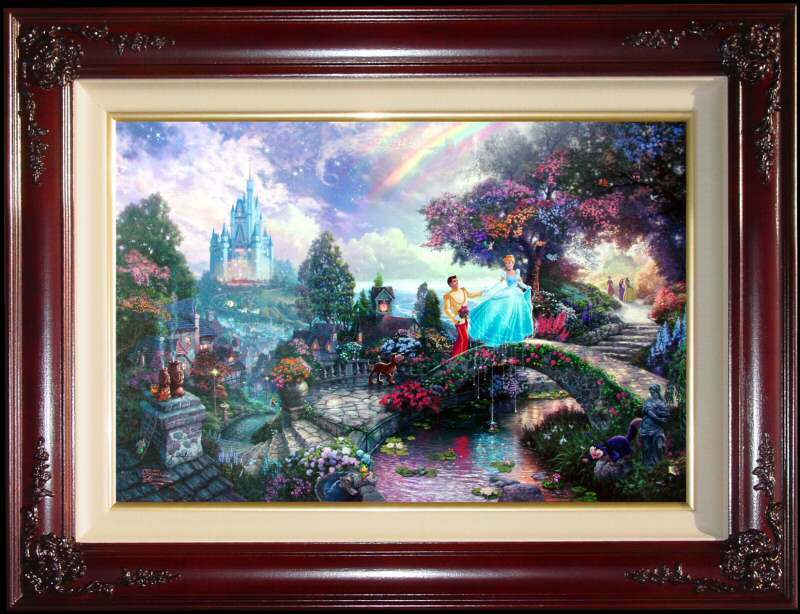 Cinderella Wishes Upon A Dream is the fourth painting in Thomas Kinkade's new Disney series entitled Disney Dreams. ++++ Rare! This Edition is Limited to only 90 in the world! ++++ Brass Plaque with the legend "Cinderella Wishes Upon A Dream ~~Thomas Kinkade"
"Cinderella Wishes Upon A Dream, fourth piece in my popular Disney Dreams Collection, has given me the chance to push the limits of my ability farther than I ever have. 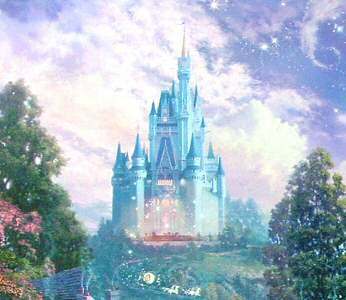 Hundreds of hours of detailing were required to capture a setting magical enough for a princess and her charming prince. On the towering mountain in the distance we see Cinderella's castle, a vision inspired by the movie. 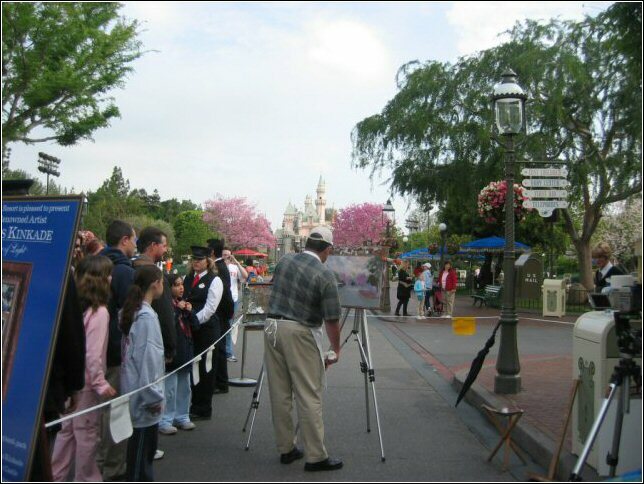 Coming down from the castle road we see Cinderella's horseman and coach, galloping towards the sleeping village below. As Cinderella and her prince cross the stone bridge over the lover's reflecting pool, we pause to enjoy the numerous details that make this scene so inviting. Cinderella's many friends are here. 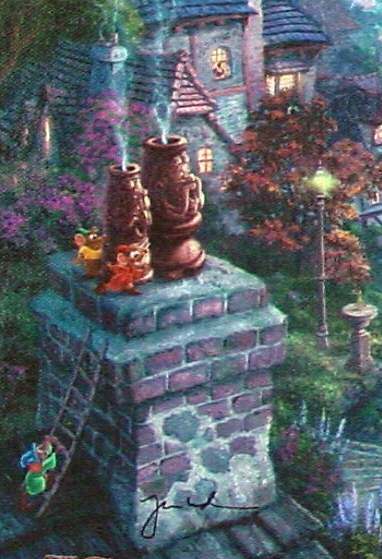 The whimsical mice with their charming antics can be found dotted around the scene (see how many you can count!). Cinderella's other tiny helpers, the colorful birds of the kingdom have built a nest in the tree house hidden in the foliage. Flowers glow in abundance, while overhead the stars twinkle radiantly. The entire scene seems aglow with the magical blessing of the Fairy Godmother, who rides atop a splendid rainbow at the top of the painting. 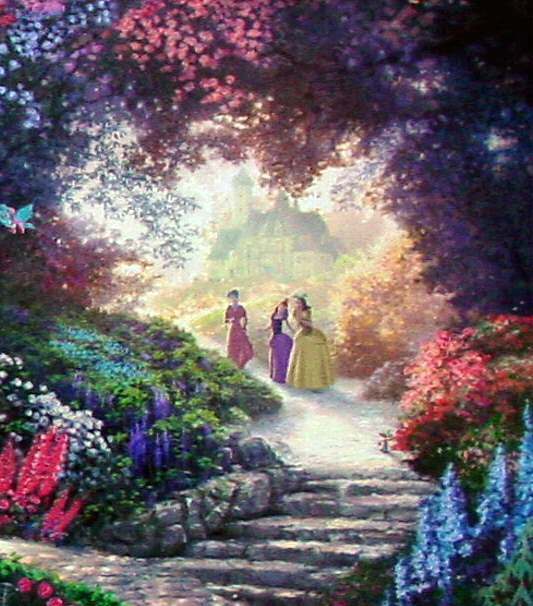 The stone statue in the garden at the lower right suggests Cinderella's years of drudgery, yet the sparkling gown she wears reminds us that dreams really do come true. Lucifer the cat is busy tormenting the playful mice, while the stepmother and stepsisters look upon the sweethearts with amazement and perhaps a hint of joy. The king and his duke, fashioned as weathered chimney pots in my painting, gaze with delight at the goings on. 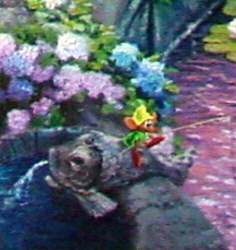 I've put tributes to my earlier Disney collection - Snow White, Pinocchio, and even Peter Pan and Tinker Bell can be found by a patient viewer. 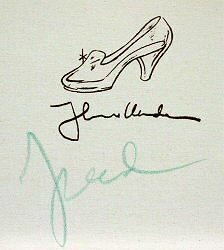 This is proof positive that for Cinderella's deepest wishes to come true, she'll need a little help from her friends!"